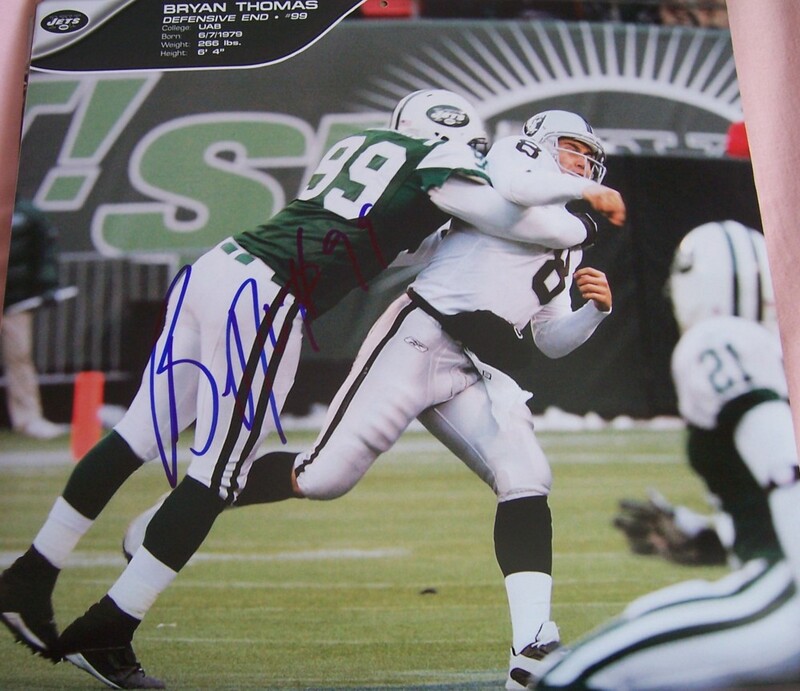 New York Jets calendar page autographed by former star defensive end Bryan Thomas. With certificate of authenticity from AutographsForSale.com. ONLY ONE AVAILABLE FOR SALE.